Cette excursion vous permet de découvrir la République dominicaine authentique, à l'extérieur des stations balnéaires. Choisissez entre une demi-journée ou une journée complète à bord d'un camion de safari dirigé par un guide, un chauffeur et un barman. Bar à volonté et transport aller-retour depuis et vers les hôtels Punta Cana inclus ; déjeuner inclus dans la visite d'une journée complète. Si vous choisissez l'excursion d'une journée ou d'une demi-journée options, vous commencerez votre safari à travers la République dominicaine avec transfert pratique depuis votre hôtel de Punta Cana. L'excursion d'une demi-journée vous emmène à la découverte de montagnes et de fleuves, des champs de canne à sucre et des plantations de café et de cacao. Goûtez aux fruits tropicaux frais cueillis dans les arbres, dégustez du café et du chocolat et de la Mamajuana, une boisson locale. Visitez une maison à la campagne et découvrez comment vit la population locale. Visitez également une école rurale pour en apprendre plus sur le système éducatif dominicain. 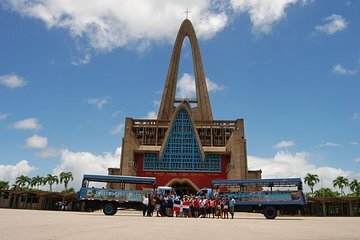 Arrêtez-vous à Higuey pour visiter la basilique de l'Altagracia. Assistez à une démonstration de fabrication de cigares et achetez des souvenirs locaux. La visite d'une journée complète inclut toutes les activités de l’excursion d'une demi-journée, ainsi qu'une visite d'un ranch privé pour une séance d'équitation et une baignade dans un rivière immaculée. Visitez une usine d'huile de coco et profitez d'un délicieux déjeuner dominicain dans un ranch privé à la campagne. Terminez la journée sur la plage isolée de Macao, où vous pourrez faire de la planche à voile ou simplement vous détendre sur le sable. Great tour that gives you a good feel of the island. A little more commentary while traveling to tell us about the areas we traveled through is the only thing I would change about this tour. Everyone was very nice and accommodating. This tour was okay. We were picked up 15 minutes late and were worried they had forgotten us. We paid to make a call to make sure they were still coming to get us. Our guide was nice and funny but could have been more informative. There were several questions that went unanswered and I felt like he did more singing than explaining. The bartender was nonexistent. He served drinks 3 times and one of those times was when we stopped for lunch. The rest of the time he just rode up front with the driver and was unavailable. The seats on this tour were very uncomfortable. The photographer was a joke. He acted like he didn't even care about his job.  We were never even offered to look at our pictures let alone buy them. Very disappointed in that part. If you have longer hair I suggest bringing a hair tie since the bus is all open and your hair will be wind blown. Visiting the place with the horses was ok, the merchandise was overpriced but it was neat seeing how they rolled cigars. Seeing the school was neat but our guide spent more time explain why we couldn't go in than explaining the actual education system they have. The country house was a cool experience and you do get to tour the house inside and out. The woman explaining about cocoa and coffee was nice and it was refreshing to hear her explain things. Lunch was great and you had more than enough time to eat, use the restroom and regroup before heading to the city. Don't expect any kind of explanation while you are on your 25 minute drive to the city. No drink service and no tour guide while you pass a lot of interesting sites. It is s loud and windy while you are driving that if you are not up close to the front the guide can't hear your questions. They may not get answered anyway. Visiting the city marketplace was nice but very fast paced you are there for maybe 5 minutes. The church was beautiful but I would have rather spent more time there than going to the beach. Visiting the beach seemed unnecessary since we were staying at a resort on the beach. People try to sell you tourist stuff and a guy with a parrot will let you take pictures with it and then try to charge you 10 for them. The beach just really seemed like a waste of time. We did not visit a coconut oil factory or a pristine river. It was never even mentioned to us as an option but it is listed in the description. Exchanging passengers on the side of the highway was weird and people just getting into cabs at the end of the day was odd. Some were left on the bus and others were shipped off in cabs on the side of the road. We made it back to our hotel an hour later than we were initally told. Overall it was an ok day. Muy buena experiencia. Todo el personal encantador. Very informational and our guides were fantastic. Two stops with water so wear your suit. The stop at the Catholic church I was not prepared for as you couldnt go in with your chest/bust out if your swimwear was revealing. They had large smocks to put over you which were HOT. I had a swim cover that I was able to close over myself thank goodness. There was a photographer on our bus as well that took pics the entire day for sale if you liked any. This was a nice change of pace from the resort. We were picked up at 8:30. However, it took about an hour before the tour got fully underway due to several others having to be picked up from their hotel. We learned some interesting things about Dominican culture that are not things that would be learned while remaining isolated on the resort. Our first stop was at a school house in the country side. We didn't get out, but just stopped for a few seconds to get a lesson on how their school system work. The children were fascinated by our stop and some waved and ran out to hand us flowers. We weren't sure if it was real or staged, but it just seemed rather strange. Next we did the horseback riding which was about 15-20 minutes and was a very nice experience. The horses looked fairly healthy but the dogs at the farm looked malnourished. There was some very beautiful wood carvings there that we purchased and also some artwork and jewel that we were being pushed hard to purchase, but we declined being as it just wasn't all that great. At the horse farm we also had a brief lesson in Dominican cigars which was cool. We then went to lunch which wasn't really that great, but we were very hungry by this point so it was satisfactory enough. From there we went to a local farm where we learned some interesting facts about the Cacao plant, how chocolate is made etc. And visited the home of the family who supposedly ran the farm. The house was obviously staged. Still it was cool to see and get a general idea of how some Dominicans live. We also visited a church in the town of Higuey. It was very gaudy looking on the outside but nice on the inside, but nothing particularly spectacular about it being as it was built in the 20th century, but there was a 17th century painting at the altar of the Virgin Mary which was wonderful to see. We did visit the local market which seemed rather pointless since we didn't stop to talk about some of the exotic fruits and vegetables we were seeing or even get a lesson in how they receive their product how well it sales etc. There was another opportunity to shop for souvenirs while downtown but be ready to be bombarded by children begging for money and trying to sell stuff. Our last stop was Macao Beach, which was beautiful. We only had 20 minutes there but our guide allowed us more time because the water was so wonderful. There was seaweed on the beach, but not enough to complain about. Overall the excursion was okay. The countryside and mountains were beautiful but there was lots of trash everywhere just thrown on the side of the road. I'm not sure what the Half Day tour includes but I don't think it'd be worth your time. The full-day tour was nice but not worth 90. I'd say 50-75 might be about right. Make sure you bring a hat or pull your hair back because the bus is a safari jeep with no windows and therefore the wind is very strong and relentless. Your hair will be a mess. Also bring a roll of toilet paper if you can fit it in your bag. We had to go to the restroom in Higuey and they were handing out three squares of toilet paper at the door to use, no lie. So it might be best to have some on you in case you need more. The best thing about the excursion was the tour guides, the alcohol and people. A very diverse group of tourist was on our tour. The alcohol was a nice distraction from the fact that this tour really was just ok. The half day tour was nice. It does not involve shopping like we thought it would. I repeat, no shopping on half day tour. There was plenty of water, soda and alcohol on board the bus. The tour was good for the price. A nice get off the resort tour. This tour was amazing! Enjoyed learning about the culture of the natives. Lots to see. Tour made one appreciate our way of living. Americans are very blessed. This tour was amazing. We learned a lot about Punta Cana and enjoyed interacting with the people. overall a great trip. I was not impressed with the horseback ride. The horses were dirty and very skinny. Part of the trip also includes a walk through a farmers market which I could have done without. We didnt even stop to look at anything and there were kids following us begging for money. Make sure you bring enough cash to tip the tour guide and bar tender at the end. We only brought some cash and ended up tipping the horse guides and buying some things and didn't have enough money for a tip at the end. Overall it was a great way to see Dominican life and the guides were great.